Cannabis law reform group NORML NZ says that crowds at J-Day events all around the country yesterday, May 1, regarded the recent raids on gardening shops as an attack on New Zealand's cannabis culture. NORML President, Phil Saxby, said the Wellington crowd was twice last year's and loudly booed the Police action when he described it as "a waste of time and money". The biggest gathering took place in the Auckland CBD at Albert Park, which was full of people openly smoking cannabis. "It's our biggest J-Day for years, both in terms of crowd numbers and the number of centres participating: Auckland, Hamilton, New Plymouth, Napier, Wellington, Christchurch and Dunedin," he said. "The Police are working hard to sell the story that they have hurt the local cannabis cultivation industry," he said, "but there are no reports of any big quantities found. It looks like they have wasted all this time and money on a few small operators growing a low-level, low risk drug." 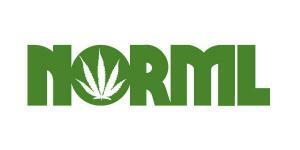 After Police raids, NORML has been getting reports from some of those caught in last week's sting. "They are all people with very small gardens (15 plants or less) and include legitimate medical users", Mr Saxby said. "Police continue to tell us that Operation Lime has been a success in 'breaking the cornerstone' of the cannabis industry in New Zealand, but there seemed to be no shortage of cannabis around the place on Saturday", said Mr Saxby.